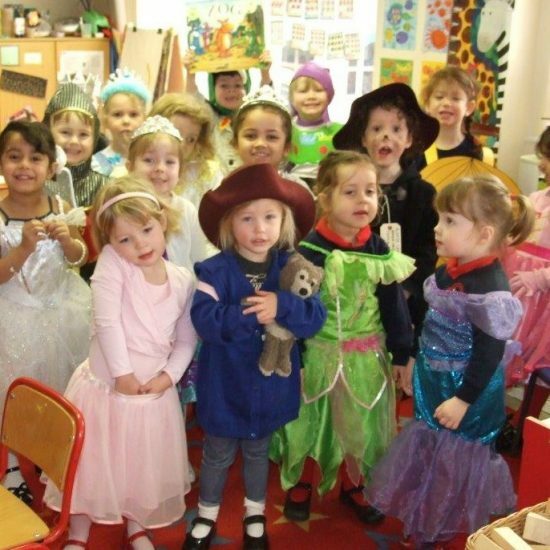 Housed in the same purpose-built building as the Kindergarten, the Reception classroom and outside area allow the children to continue to develop and grow through the principals of the Early Years Foundation Stage (EYFS). The class teacher and a full-time teaching assistant provide an imaginative and engaging curriculum, based on well-planned play opportunities and stimulating adult-led activities. This allows the children to become creative and critical thinkers, with a positive attitude to learning, the confidence to make the best of their abilities and to lay down firm foundations for their academic development. Children have access to all school facilities and receive specialist teaching in sport, dance, music and French.